Checked out and left bags at the hostel. 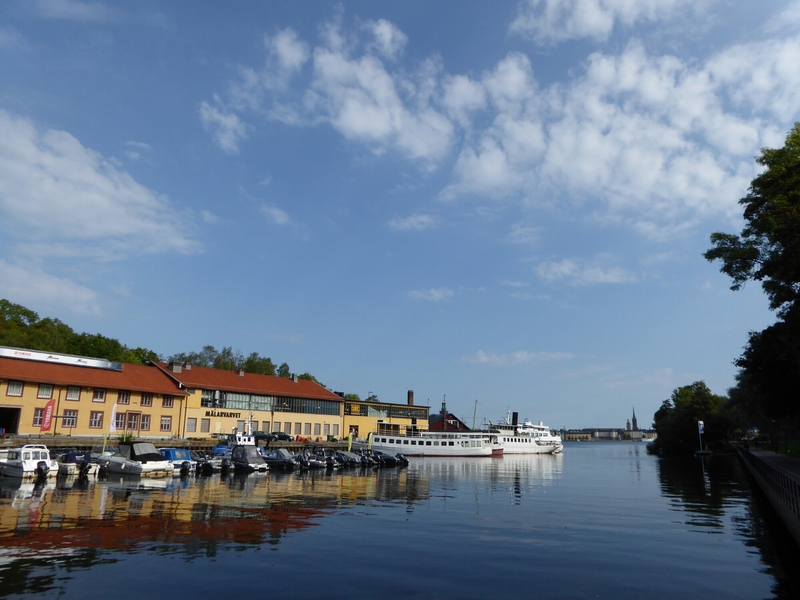 Went for an 8 mile potter round Stockholm covering 4 of the 30000 islands that make up the city of 912000 people. 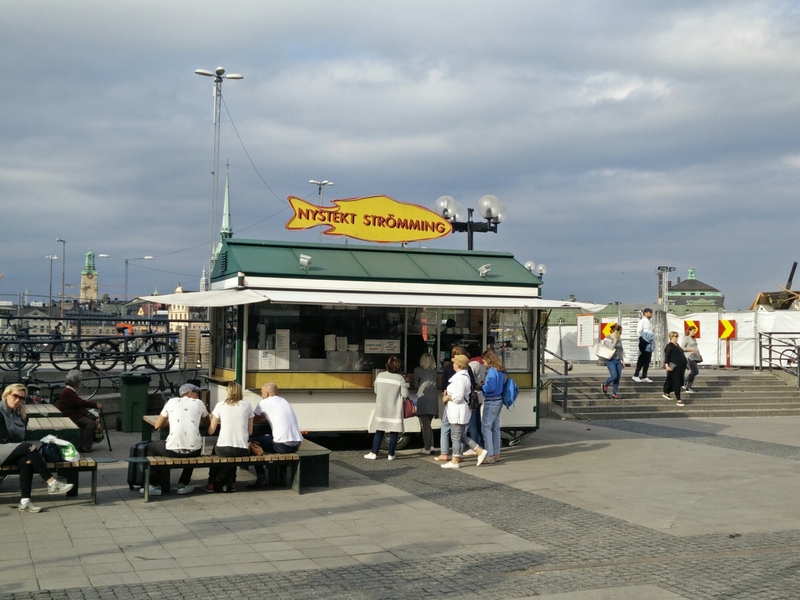 I have to admit that after such a great time in Copenhagen, my first impressions of Stockholm were a bit flat but that was very unfair to a relaxed, cosmopolitan, progressive city. Stockholm is a big place. It is spread out and has wide roads and many green spaces and you feel like you have room to breathe. It is too big to wander about for two days and pigeonhole it but we’ll be back, it’s a grower. We crossed over a very high bridge which caused a few twinges as neither of us are good with heights but gave wonderful views across the “downtown” area. Back to the hostel via a supermarket salad which unfortunately didn’t have any wild strawberries, then collected the bags and headed through the tube to the port. We managed to get a tube ticket but when we arrived at our station there was no slot at the exit barrier to put the ticket into. The attendant indicated we should go through so we waggled our paper ticket on the sensor where the locals were placing their passes but the barrier didn’t move. 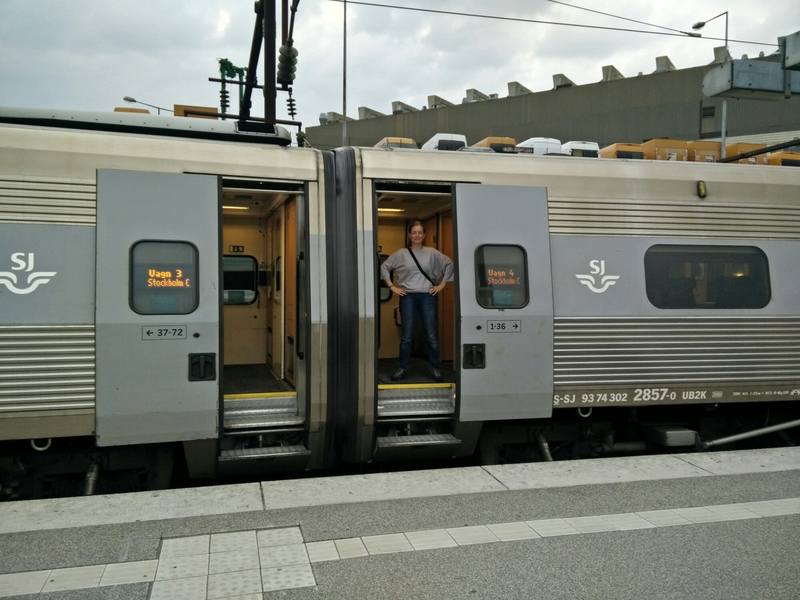 The attendant opened her window and shouted “Just go through” and we walked through the motion sensitive barriers and on to the ferry port. Check in with St Peters line was straightforward and we were issued with a boarding pass that doubled as a room key. We boarded the Princess Anastasia and entered our cabin which was compact but boasted two bunks, a wet room with shower, toilet and sink and very clean sheets all for the pre brexit price of £56 for two nights. A bargain. A pint of Lapin Kulta, a tasty Finish lager was €2.50 so things looked good. 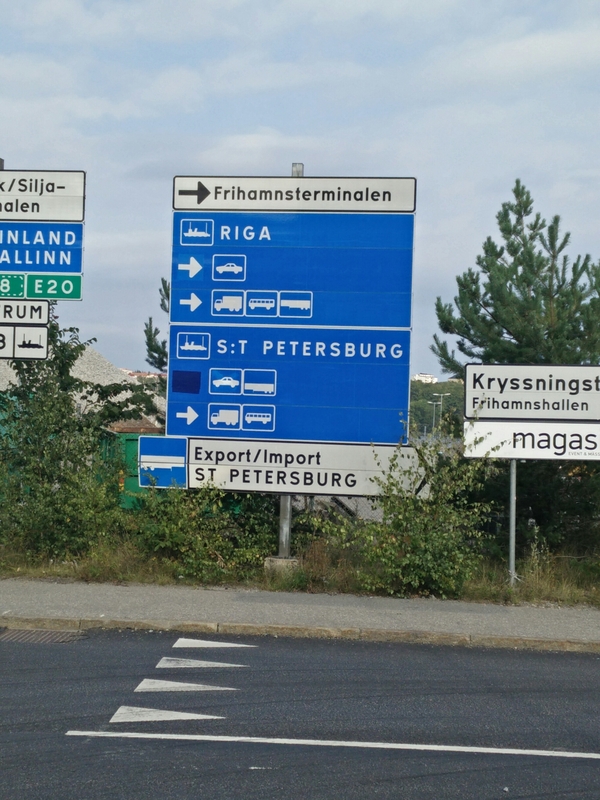 We explored the facilities and after leaving Stockholm and watching the beautiful Swedish coastline drift by with its classic individual wooden houses dotted within pine woodland we decided to head to duty free. I have to admit I bottled buying the €5.50 a litre Estonian vodka and went for the much more popular Ukranian vodka at €6.40 a litre ( a decision I regretted after visiting the friendly Tallin). We also bought cheese and smoked pork to go with the bottle of Sicilian red we had smuggled aboard (a boat with duty free). Cheese, pig and red were devoured on deck with views over the Baltic Sea. 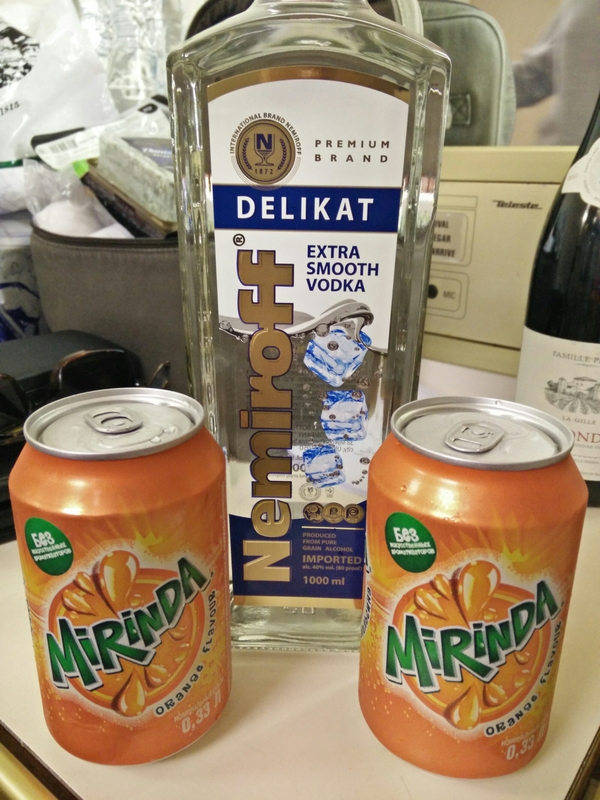 The vodka was tested with miranda fizzy orange and the cabaret in the Columbus bar where we saw a band playing instrumental Phil Collins, a film noir dance routine and a big haired songstress. Unfortunately we were too tired for the end of evening disco so headed for our bunks but pleased we could still see. ​Deep within the sensory deprevation chamber of room 4 Hostel Dalagatan, two middle aged travellers slept. Eventually after 10 hours, without the noise of neighbours, trains, farting or extreme heat they awoke feeling pretty damn chipper. Another beautiful sunny day ahead (our luck can’t last) we headed out for a great big stroll around the capital of Sweden. Down wide streets and through parks we pottered watching the locals do their Monday morning thing which seemed to be lunges in the park, sitting outside coffee shops or if you are a 30 year old bloke, pushing a pram. Eventually we stopped for lunch at the Ostermalm Saluhall, a food market which has the best of Swedish produce. 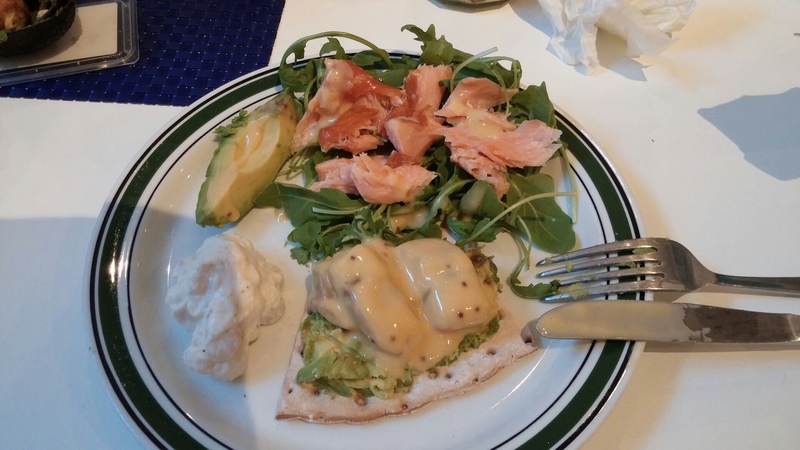 There were sides of salmon which make the ones sold in Morrissons look like goldfish. 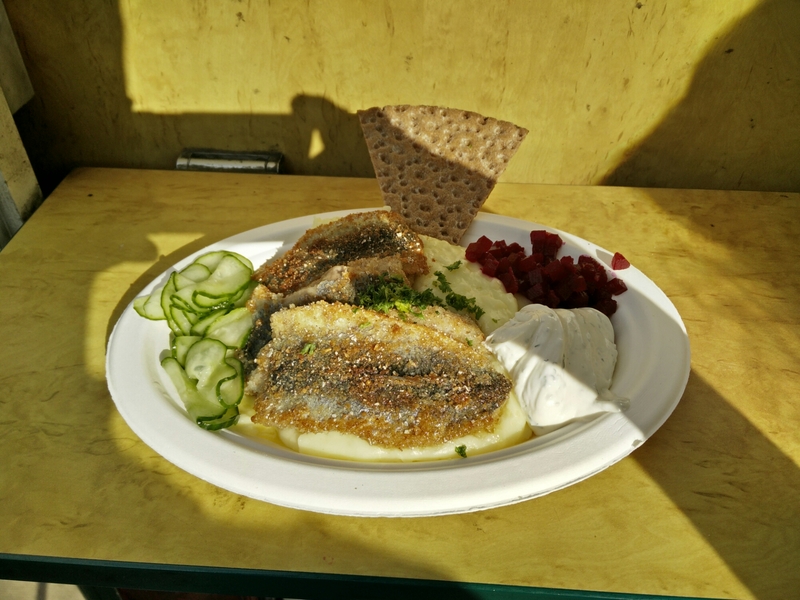 They were a bit pricey though so we opted for classic Scandinavian open sandwiches of herring and prawn which were very good. After that a cardamon roll and cinamon roll from a tiny bakery which only accepted card payment which we’re finding the norm here. 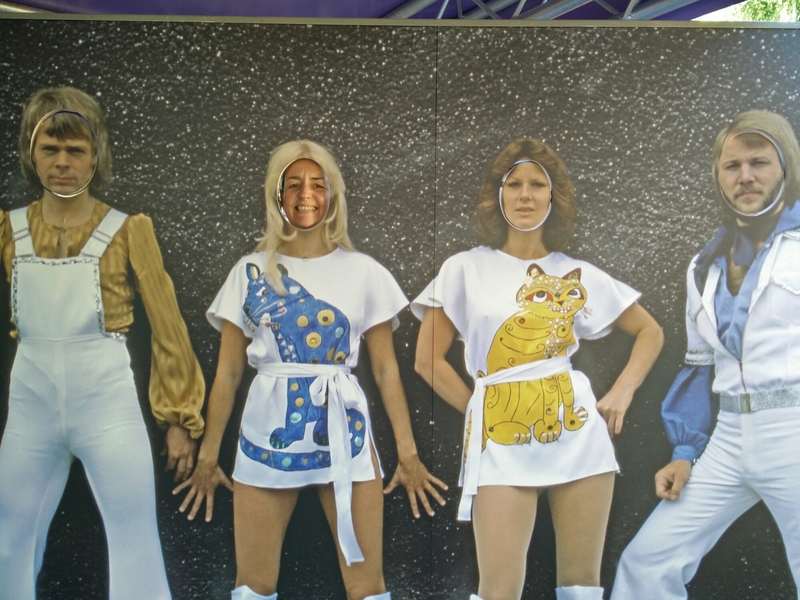 We continued walking along the waterfront to an island of the Djurgarden or Royal gardens where we passed the Absolut Spirit gallery, ABBA museum and Tivoli fun gardens, none of which interested both of us. On to Gamlastan island or old town which is the island in the centre of the whole bay of islands which makeup Stockholm. As the name suggests it is made up of old cobbled streets and alleyways shaded by tall buildings and lit by old iron lamps. It is historic and quaint but the nostalgic feel is tempered by gangs of pre – teen lads chasing around waving mobile phones playing pokemon. 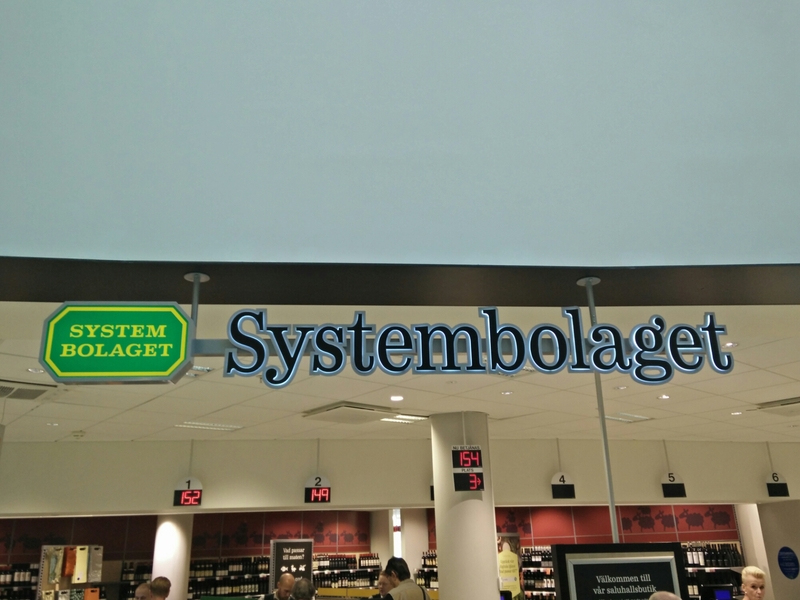 We both fancied one last glass of Red before we head to Russia and as we couldn’t buy any yesterday we were intrigued to look round a government run bottleshop called Systembolaget. We were shocked to see wine the same price as in the Uk as in some Stockholm bars a glass of house red was £9, so we bought a bottle. 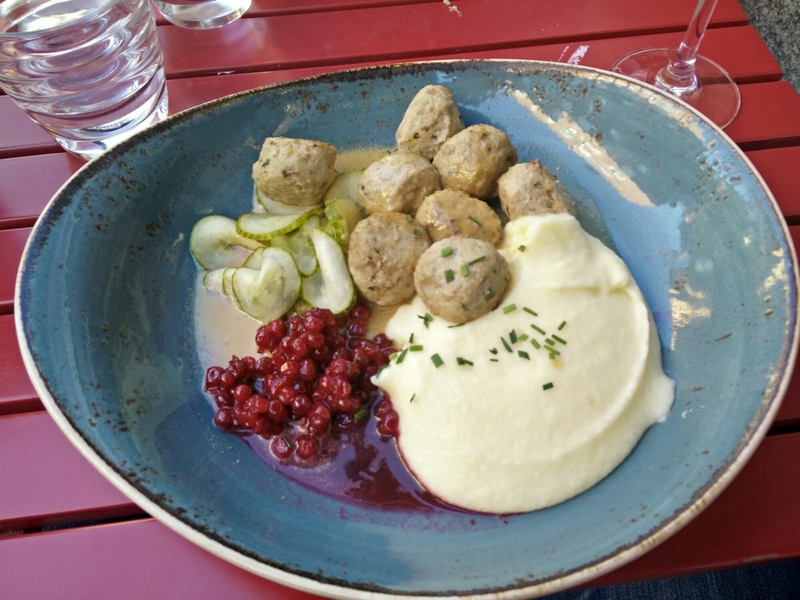 Time for food and as we’re in the home of Ikea it had to be meatballs so we found ourselves outside Meatballs For The People where we had deer meatballs and mash with pickled cucumber and lingonberries which was very very good. For those interested Al’s fitbit said we walked 12.79 miles today.